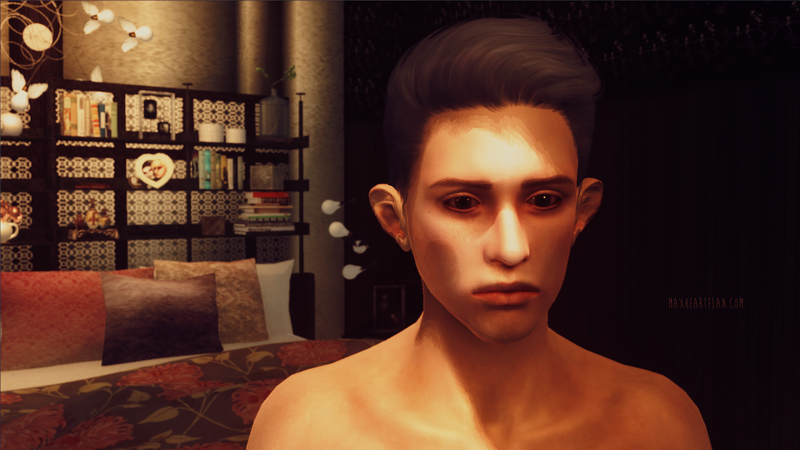 Well I kno I kno, I was going to put the new companions up for download sometime on Halloween, but y'all imagine how this happens, don't you. First I was wanting to make them even more perfect, and wonderful Room207 has helped me a lot with that; then my tester person vanished into thin air and I got no feedback on mah Jodie; meanwhile I became distracted and was annoying and exciting my friends with that perfect ball-jointed boydoll I had found, and now I just can't wait till he arrives at my place. Aw this is like expecting a baby, I guess. Yea so, I finally recalled I was going to post the Oblivion guy and girl companions for y'all. Use them, abuse them, or ignore them - well, if someone chooses to deprive themselves of maxheartflan mods, they only do harm to themselves and not me, because there'll always be beautiful people who love me. I'm just this kind of guy, talented and adorable. Anyways... ladies come first. Today we`ve got some eyes for the eyeless or for those who are in search for the beautiful eyes to make. 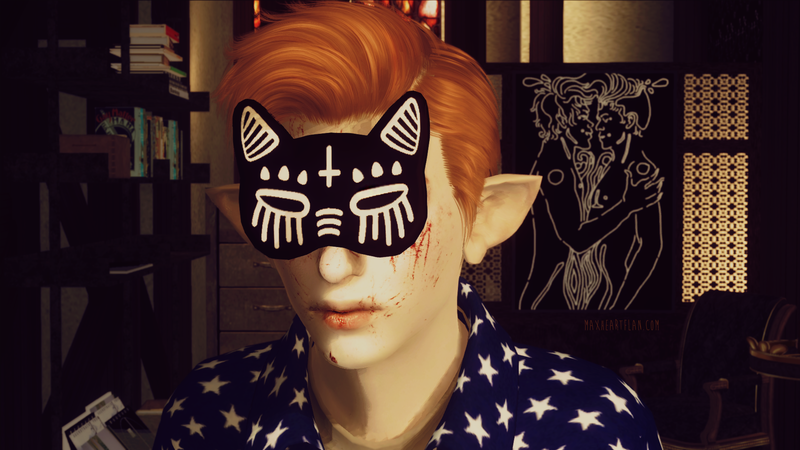 The mod was updated to 1.1 - Jellyfish eyeset was added. 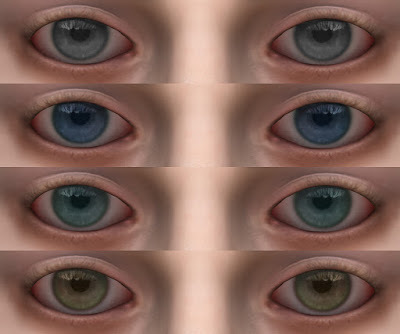 Have seven sets of eyes created by Dustin Flan during august-september 2014 if you please. Have seven sets of eyes created by Dustin Flan during august-september 2014 if you not please. All the eyes in the compilation are very different from anything created earlier by Dustin. These ones were made with help of photo referance. All the previous eye sets were hand painted by Dustin <3. Once upon a time there was a beautiful prince living in a bestial shadow of the woods. The fall commences flowing through my hollowness of eyes. ah smells sweet amber, like your skin that has been licked and since dried. of silky blood clot, rotten leaves, abated breath and pupillary dilation. "Where do I go now, I am lost?" suddenly I stop and hear the fall is howling back. "He was following me quietly, a rusty spade in his hand... I spat up blood, the sky got down. He`s made it to the end". Room207 was kind enough to show interest in the house mods we kept on making. I made a huge list of our player homes for him, and then I recalled I was really going to show off the Gallery and Dustin's art because it's something cool that everyone should see. 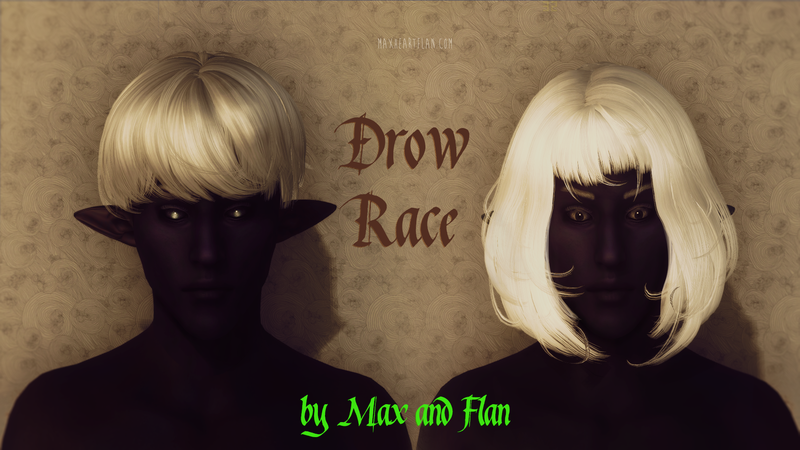 Here's the update of the Drow race by Flan and Max - the first one in a series of race updates I'm performing during the Big Spring Cleaning action. 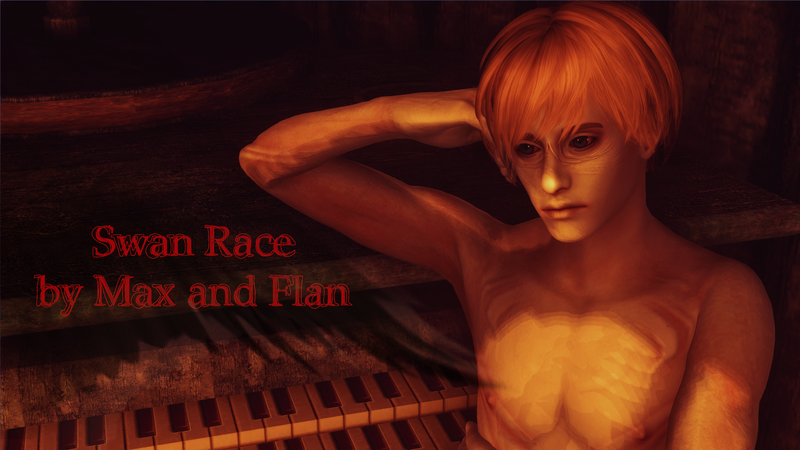 My aim is to update all the races released in 2012 - to give just as much love as I can to my baby Flan and of course to our fans who use our races, by giving a full support to our beauty mods. The general change: some exclusive hairdos were added to the Drow race, the face texture was tweaked a little. The update includes 22 hairs by Newsea, partly reorganized, partly retextured, and those are the best and my favourite hairs. Some of them won't be included in the standalone hairpacks for a reason- I want you to try out our races, I want you to try out Robert's bodies, because this is what everybody needs in their game.